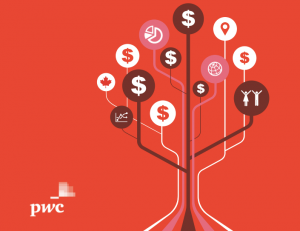 While sectors like AI and mobile startups often get a lot of attention, Canada’s healthtech sector could be primed for healthy growth over the next year. 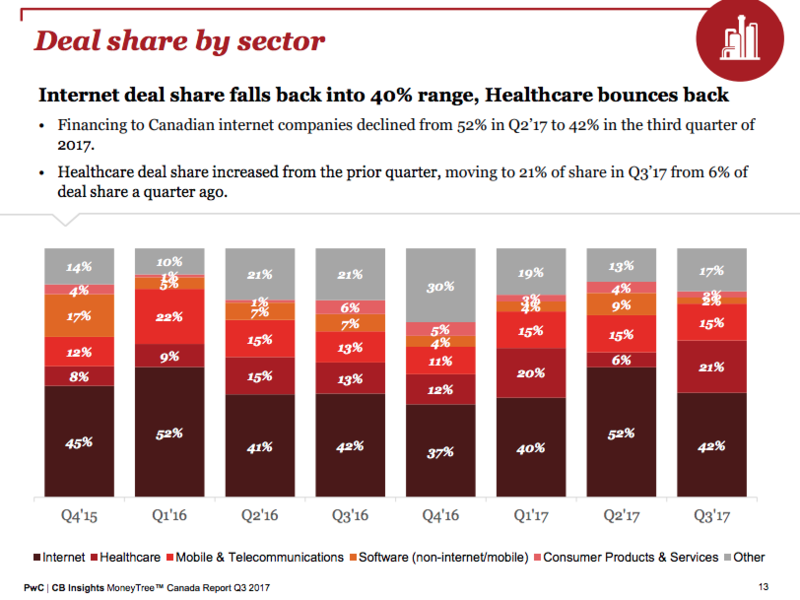 Per PwC’s MoneyTree report, healthtech was the second biggest Canadian sector by deals and funding in Q3 of 2017, with $274 million ($216 million USD) invested over 17 deals. The quarter was second only to Q4 2016, which saw $535 million ($421 million USD) invested over 11 deals. While healthtech has a reputation for being difficult to innovate within, PwC partner and national deals technology leader Michael Dingle says there are reasons to be optimistic moving forward. As a sector ultimately working to improve human health, healthcare has a higher risk profile due to regulatory oversight, clinical trials, peer review, and the single-payer (or complex payer — government, insurance, other) system. While necessary, it also slows the pace of innovation. Looking at eight-quarter data trends, healthcare never surpasses 21 percent of total deal volume compared with internet-based companies, which consistently stayed above 40 percent. Dingle said that this threshold denotes the outer size of the market in Canada, with healthtech unfortunately not seeing the same disruption brought on by the internet as in other industries. However, he noted that the size of the potential market for healthtech is substantial, as healthcare represents the single largest provincial budget items accounting for between 34 percent to 43 percent of provincial budgets. For that reason, he anticipates the deal volume for this sector will change for the better. 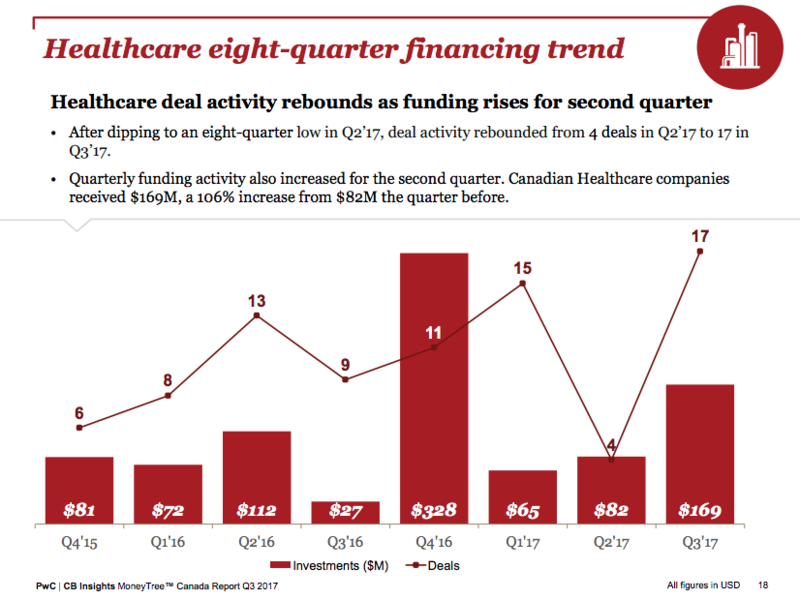 “We will begin to see the 21 percent of deal volume representing healthtech in Canada move upward. That is my prediction, because the players are indicating that they are ready for increased technology within the care continuum and that the market size is substantial. The opportunity for healthtech innovation is increasing and the marketplace is always attracted to upside, both economic and the opportunity for real impact on human health,” says Dingle. Generally, a lack of early-stage funding has been identified as one of the gaps in spurring healthtech innovation, and looking at PwC’s data, seed-stage funding dropped to an eight-quarter low, while expansion stage deals reached an eight-quarter high. 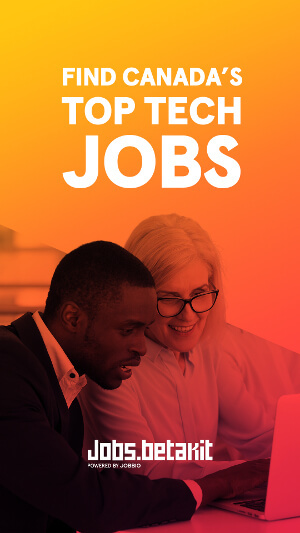 Dingle pointed out that this is a somewhat positive trend overall for the tech ecosystem, as it indicates that Canadian companies are finding their product-market fit. 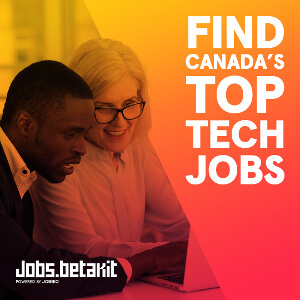 Even if healthtech is uniquely challenging, expansion stage growth shows that Canada is proving itself. “We don’t want to see a falloff of the early-stage investing, which would indicate that there is a shortage of startup activity. Ideally, as this sector continues to grow in impact, we’ll continue to see early-stage activity happen,” says Dingle. “Today, there’s a great flurry of activity at the bottom end of the ecosystem in Canada; that’s the startup space, and we’re really good at it. In BetaKit’s last MoneyTree deep-dive, it was noted that AI could bring more corporate VC into the country, with the latter bridging a funding gap for the sector. Dingle said that corporate activity already happens often in healthcare, but we can watch out for a bigger impact.